It was in this pile. I’d never read it before! But, you may say, we asked you to speak about women and fiction — what, has that got to do with a room of one’s own? 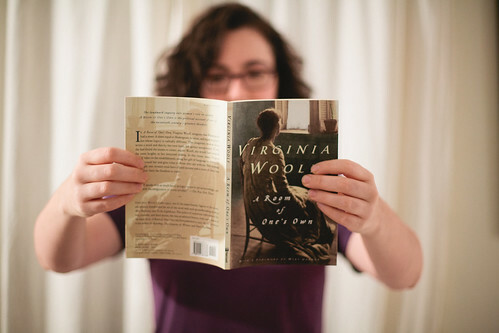 Virginia Woolf is a great essayist! I’ve only read one of her novels, and would definitely pick up another now that I know more of her personal voice. It’s interesting to read these revolutionary works so long after the fact, to be struck by how things are both the same and different. I remember feeling the same about Dorothy Sayer’s essay.